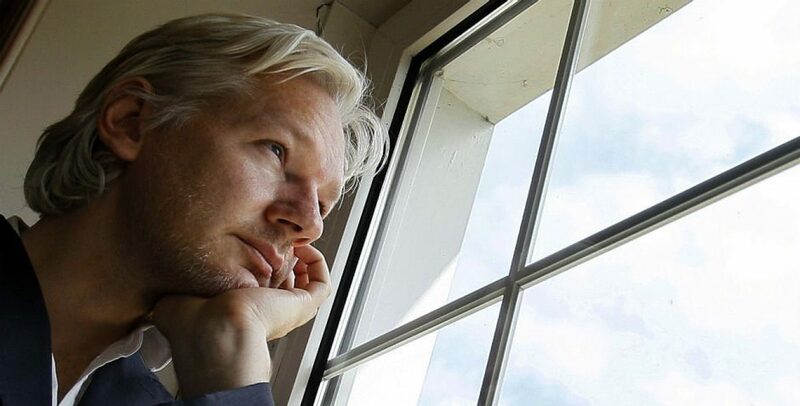 Julian Assange has been without internet, phone or visitors for 166 days as of tomorrow, this is an extremely wicked and cruel act against an innocent journalist and publisher. According the the UN’s Nelson Mandela Act, anything over 15 days in solitary is considered torture. I want to explain to you what complete isolation does to the mind and the body and how this will effect Julian’s current state. It is a proven fact that lonely people are more prone to certain physical ailments including high blood pressure, depression, Alzheimer’s disease, dementia and are more prone to infection. Mentally it has been reported to play with your sense of time, cause hallucinations, and paranoia. Many completely isolated individuals who had no meaningful human contact lost track of reality all together as studies have shown. In a study on other primates regarding isolation, they found that after only 30 days the monkeys became enormously disturbed and after a year were unable to have social contact of any kind. ( Reference for studies ) In fact, a good example of lack of proper human interaction would be the orphans in Romania who were literally mentally handicapped because they were never held or given affection. In fact, it has been proven that solitary confinement can drive a person literally crazy. We are talking about permanent damage here folks. It is not temporary and is considered torture for a reason. Most examples when introduced back into society have a lack of life skills and have lost the ability to relate to others as a normal individual would. They are highly anxious around people, often paranoid and fearful, leaving them with no joy in every day tasks or happiness. What emerges from reports on solitary confinement is literally like reading a medieval novel about torture. Some even experience pyschosis afterwards. We know that keeping someone in solitary confinement puts them at very serious risk of descending into irreversible mental illness. That’s not tolerable in a society that values the dignity and humanity of all people, no matter whether they are incarcerated or not. He spoke about Catalonia and Spain pushed Ecuador into this act. Julian was going to testify in the case against Cambridge Analytics and Facebook in the well know court case. Ecuador is looking for help from the US government with security in Columbia and help with their failing economy. Perhaps, it was a deal made behind closed doors. US State department bullied Ecuador into silencing him and is currently trying to end his asylum through coercing Ecuador. Regardless of the reason, this man is being persecuted for simply doing what journalists should do. He investigates what information is given to him and tells us about it. This is not a crime. He is not in prison but in an Embassy to keep him from being extradited for political reasons to the United States to face a fixed grand jury that would put him away for 45 years, the rest of his life. His rights are being violated by the UK and now the very country that gave him asylum in the first place. Punishing a man for tweeting about his views and the truth is not protecting him. Even prisoners in solitary confinement are allowed the occasional video conference with friends and family. Ultimately, President Moreno will be known as the man who destroyed Julian Assange. He will be known for violating the human rights of one of his citizens (Assange was granted Ecuadorian citizenship a few months ago). He will be known for making a hypocrisy of free press and free speech if this act of suffering continues. Please contact the leaders in your country and demand they contact Ecuador and request the reconnection of Julian Assange to the world and his family.